Modifications: No mushrooms, but I added more broccoli than called for. 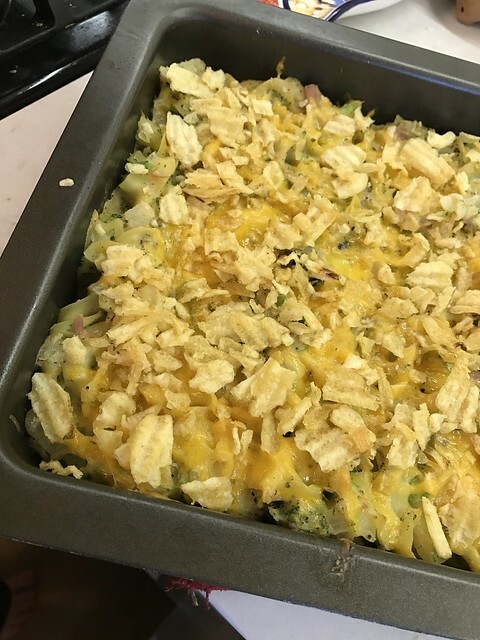 I also put some cheese on top before I added the crushed potato chips. I also added garlic powder and a bit of crushed red pepper because it seemed kind of bland. Kids: All seemed to like it, Charlie was a love, but he loves everything. Annie didn’t like the chips?!?! Who is she? 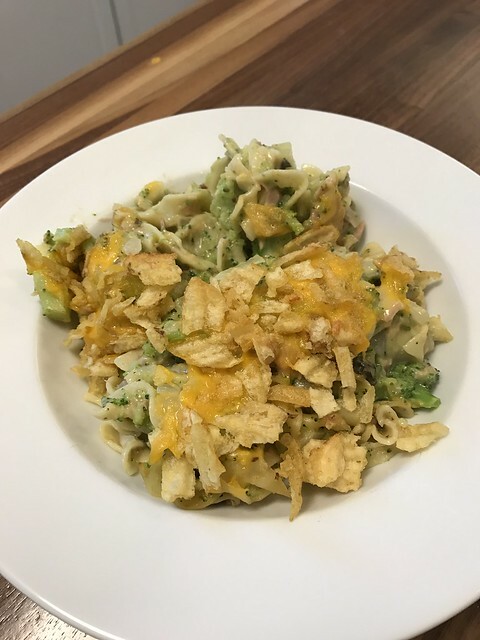 This entry was posted in broccoli, cheese, onion, pasta, tuna. Bookmark the permalink.